"Relive the movies with your favorite figures! The Star Wars Jedi vs. Sith Action Figure Battle Pack includes 5 unique 3 3/4-inch Star Wars Action Figures and accessories from the films! More details coming soon. " 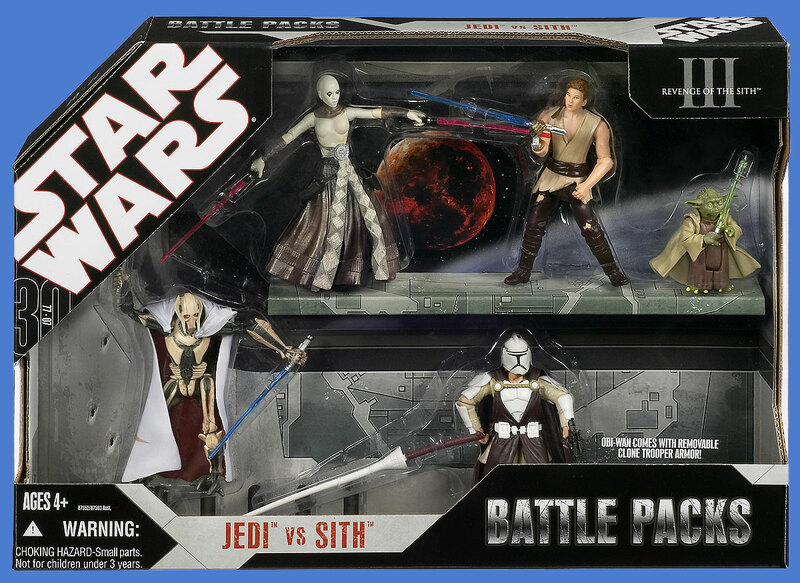 I wonder if it's just a repackaging of the old RotS Jedi Vs. Sith Battle Pack? Probably. Anything BP has Jedi or sith on it means it'll be boring. Will be interesting to see what these bring. 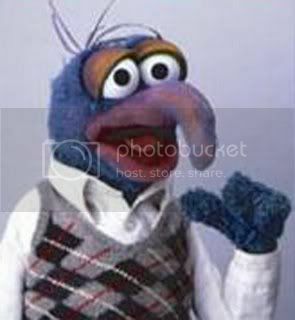 TOO much sarcasm----I love it. I may pick it up for Asajj since I passed on it in 2005 but otherwise I'm not enthusiastic about this set at all. I forsee a crap load of these on the shelves. Passed the first time, pass on the seconds even with cooler packaging. Nice a Yoda we don't need, a blue-lipped alleged Anakin with poor likeness, a Grievous who is an inch too short and just barely acceptable versions of Assaj and Obi Wan. Seriously though I'm gonna be nabbing one perhaps for customizing bits and give the extra things to my gf's son... Nothing in that set is particularly nice though, at all... Just unique parts. He'll dig the Assajj figure though I think. Crummy set the first time though, worse the second time, only desirable the first time because it wasn't easy for everyone to find, at the time. Ditto. Easy pass on this one. Hasbro has to really have tweaked the packaging in order for me to rebuy this and the other repack sets. I have the first version, good enough for me.